Jute geotextile is one of the most important diversified jute products with a potentially large-scale application. It can have several applications as: soil erosion control, vegetation consolidation, agro-mulching, reinforcement, and protection of riverbanks & embankments, land reclamation and in road pavement construction. Owing to the years of industrial experience, we have been able to provide our valued clients with a wide range of Jute Ground Covers. - Weighing from: 248 to 1, 000 GMS per sq. mtr. 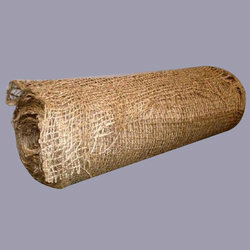 Jute Soil Saver is manufactured in a mesh Net structure which is used globally to control soil errossion, landslide, river bank erode control etc. These are avalible in 3 quality - 280, 500 , 1000 gsm. We are the manufacturer and exporter of Jute Soil Saver/ Geo Textile Products and are looking for various agents around the world also. In order to meet huge market demands, we are involved in offering best quality of Jute Mesh Cloth. Our Jute Mesh Cloth is highly demanded by clients due to its premium quality and different attractive patterns. We deliver this Jute Mesh Cloth to the clients on time. 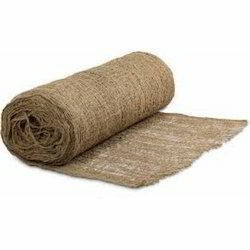 Green Jute Brown Jute Soil Saver, Size/Dimension: 48"
- Mesh width : 47/48"
We are offering Jute Soil Saver to our Client. Jute Netting is used in Army and other uses. Rds Jute Net is made of Export quality Jute. We customise all sizes . - We manufacture Soil Savers or Geotextiles in different weights like 248 gsm upto 1000 gsm. - Used for preventing soil erosion, landscaping, roads , highways, railway tracks and others. - Can be packed and supplied in bales of 600 / 900 yards or in rolls of 50 yards.